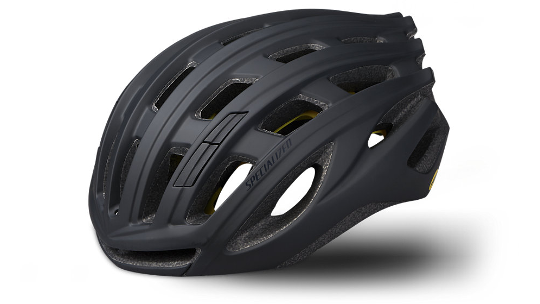 The Propero was initially inspired by the S-Works Prevail. 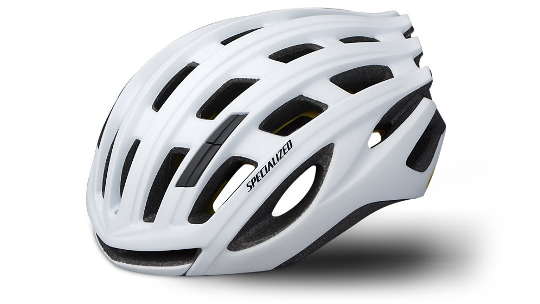 Specialized took all the race-orientated benefits from the Prevail and designed the Propero which is focused on providing great value for money. The Propero is as good on the road as it is on the gravel path with protection against low hanging branches thanks to the patented clip-on visor. However, the new Propero features something far more exciting than a clip-on visor. Groundbreaking technologies that do not only enhance your performance but keep you safe. Specialized's ANGI Crash Sensor lets those closest to you know when you're in trouble. Pairing with your smartphone on Andriod or IOS, it then sends through an accurate location in partnership with STRAVA so you can be sure you're safe, wherever you're exploring. The Propero also features MIPS technology which is designed to redistribute impact energy through a low friction layer which allows the helmet to slide relative to the position of the head, reducing the impact your head receives when it hits the ground. Finally, the Propero features a host of web designed fitting materials that not only ensure great comfort but keep you sweat free. ANGI Crash Sensor gives you and your loved ones peace of mind like never before—when combined with Specialized's iOS or Android app, the sensor will detect a crash and send a text message to specified contacts in your phone. It also syncs with our app and STRAVA® to provide GPS-based activity tracking. In a helmet with MIPS Brain Protection System (BPS) the shell and the liner are separated by a Low Friction Layer. 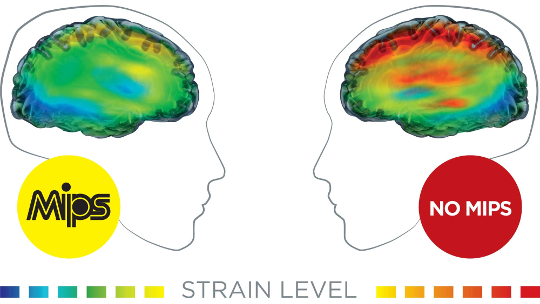 When a helmet with MIPS Brain Protection System is subjected to an angled impact, the low friction layer allows the helmet to slide relative to the head. The MIPS BPS is designed to add protection in helmets against the rotational motion.